Setting a trial date in the Luke Strimbold case has been pushed back another two weeks due to a change in prosecutors. 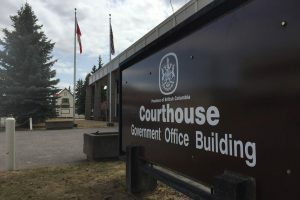 The purpose of the hearing in Smithers, today was to set a trial date for the case. Special Prosecutor, Leonard Doust has resigned from the case due to health reasons. The judge agreed to postpone until December 21st at 10 AM so the crowns new prosecutor could get up to date on the case. At the last hearing, both the prosecution and defense spoke of a deal in the works to settle the matter before a trial. Strimbold is facing 29 charges of sexual assault and sexual interference against minors under the age of 16. The charges involve six boys, all between the ages of 13 to 15 years old. Strimbold was mayor of the Village of Burns Lake from 2011 to 2016. At the time of his election, he was the youngest person ever to be elected as mayor in British Columbia at age 21.